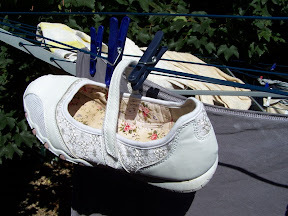 I am wondering what happened to the shoe before it needed washing. Muddy puddles? Might be the time of night or the stressful few days I've just had but it took me a while to work this out and see the pegs! Recipe Shed - Theme is Mince!